The poor college students guide to raising a baby: Awards time! 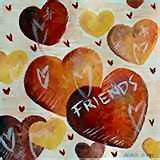 I want to start off by saying that I love each and every one of my followers and commenters! When I started this blog last year I didnt know if anyone was even going to care what I have to say, but you guys have proved me wrong and stuck by me weather I have something good going on or not! 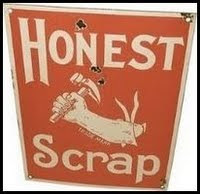 I am sorry I have been slacking lately- we are sick and I have been working my bum off trying to finish up my schooling! Also, my computer cord completely pooped out on me (3rd one in 3 years!) and now I cant even turn my computer on to finish my last bit of homework! But I will be getting better as things start to slow down, and I will be coming back with lots of fun Christmas crafts and recipes! If you are a new follower please leave me a comment so I can come check out your blog and say hello! I love to get to know my readers! This week I received lots of awards! 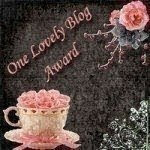 I got the one lovely blog award from Lady Laduke . The requirements to receive this award say that I should pass it along to 15 blogs I think are lovely! 1. My bed has to be made first thing every morning for my day to be a good one. 2. I must have cold water by my bed in order to sleep. 3. I use nap time to watch soap opera's. 4. My family eats veggies VERY rarely. 5. My daughter is exclusively cloth diapered and I have made 95% of them. 6. I drink Nestle breakfast mix for breakfast every morning. 7. I have a VERY hard time folding and putting away laundry. 8. I drive my husband to and from school multiple times EVERY day. 9. I think handmade gifts are the best kind and will be doing a 95% handmade Christmas. Jen at Baby Makin Machine - If you didnt know yet she is finally pregnant and I couldnt be more happy for her! She is such a great blogger and a great friend! I have really enjoyed getting to know her! Plus she always has GREAT giveaways! Sarah @ Minnesota Mama's must haves- She has the best giveaways and her blog is lots of fun! Danyelle @ Queen of the clan- She has a great blog and I always learn lots from her! Katz @ My endless day of diaper changes always has a funny story! My life or is it SHe is a great inspiration to us all! Too many hats Love this blog! And I love when she shares her meal plans! Heather@ A day with Jake I love to read about what her little guy is up to this week! Jackie @ House of sarager She always has a new idea or project and I love reading about them! Congrats on your awards. Loved reading the facts and learning more about you. Thank you, Josie! You're such a sweetheart. I enjoy your blog, too! Thanks ... I think your blog is darling! Awww, thanks for the award! Thanks Miss Josie! You are a sweetheart indeed! Love you! I am always enjoying reading about the creative things YOU are doing! josie you deserve a thousand awards but oh the headache of passing them on! I always make the goal to make Christmas gifts and every year I get too rushed and have to buy gifts. What kinds of gifts do you make and when do you start? Thank you, thank you lady for my reward! I agree with Lynette. It's just the passing them on that can be a pain sometimes. I'll be sharing my award and giving you thanks!!! Sorry I am just getting to this now. Thanks so much for this award. Congrats on your award..You rock!